This tutorial was prepared on a Nexus 7 2012 (wifi) device, this also might work with other nexus devices as well. After downloading the image file, which will be named as something like nakasi-ktu84p-facto…tgz (or as per your device name). I used winrar to unzip the file in a safe directory. The next step is to get the tools you need to get your PC ready for install this image on your nexus device. A simple installer could be for the XDA forum which is a “This is All-in-One installer for 3 most needed PC tools for Android. No need to download big SDK for 3 small things“. The installation steps are also provided on this site, which I followed. Ensure they are accessible globally. On windows do it by adding the adb and fastboot binary path (“System properties” -> Advanced -> environment variables -> System Variables -> path) so that both the commands can be executed from any present working directory on the command prompt. For more information on setting the path use this link. I suggest use notepad++ https://notepad-plus-plus.org/download/v6.8.5.html for editing this file. Editing this file with notepad can some time be problematic. 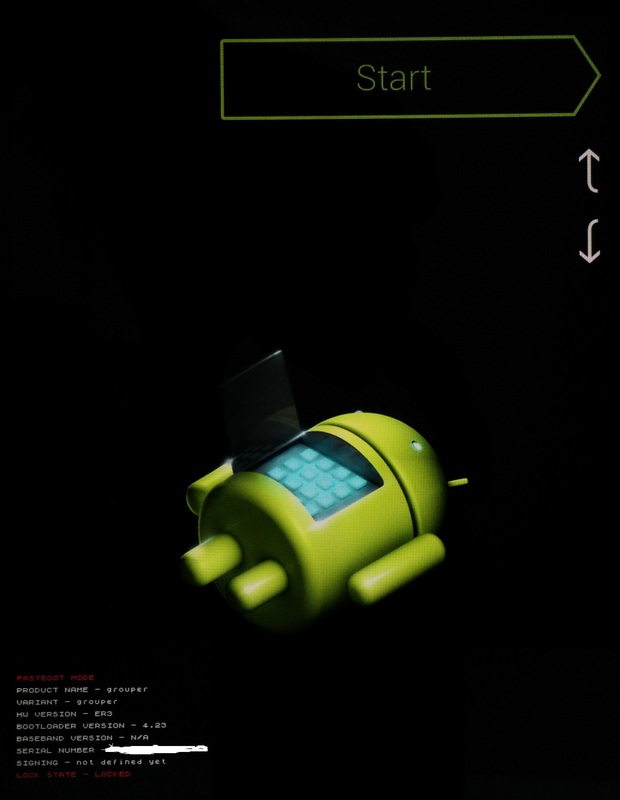 If you think you are having trouble with the adb-tools or getting the right driver check the following article working with adb and fastboot and drivers on your android device. Hope this helps, please feel free to comment in general or comment for help. Thanks so much for this. I still can’t get my Nexus 7-2012 to work reliably despite several system updates from “Lollipoop”. It works at times quite well but then inexplicably I’d restart with terrible lags, lock up and even self rebooting. Your instructions are complete but there are many ‘holes’ to someone new to this process. But reading in through and cross indexing it against other sites with a similar focus, yours is the best, and I got done. My old 7 lives again, and despite 4+ years old, the battery is holding on. A HUGE, HUGE increase in speed with this Nexus 7 (2012 wi-fi) after reverting back to KitKat 4.4.4 from Lollipop 5.1. Flashing sailed thru smoothly except for it not unlocking at step 4 to run bootloader. Add a step (4b), in newer Lollipop you also have to disable “run an external program” from the Developer settings (a couple lines down from “usb-debugging”). The instructions at https://developers.google.com/android/nexus/images#instructions are also quick and helpful. Thank you for your post. I am able to revert my tablet back to 4.4.4. Thanks for the instructions, have figured out and downgraded successfully. Thank you for this great tutorial! Saved my day! Thank you very much for the instructions. I downgraded my extremely slow 2012 Nexus 7 running 5.1.1 back to 4.4.4 and it’s highly responsive again. Thank you so much! This is a life-savior for my Nexus 7. A huge thank you from India. Found my nexus 2012 in a cupboard and thought what the hell, let me give this a try. Was slow as hell on android 5. Googled and came up to this thread, followed instructions to a T and now I have a responsive tablet again! Just have to switch the battery for better backup I guess. Thanks again. You’re the man (or lady)! I am glad it worked for you. You are welcome! then have the images, slightly rearranged, to accommodate the change. 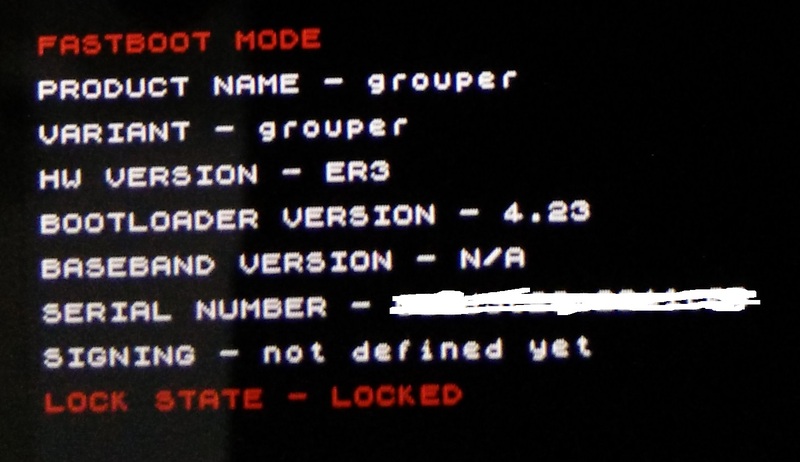 The bootloader version correctly shows version 4.23, but the very, very last line fails on sending ‘boot,’ which I wonder what that is, if it’s simply the command to reboot the device. I think I’m pretty close. Read all response messages. If there are any failures, switch USB ports. The Google help forums all say the same things. Not all USB ports are the same. I spent two days attempting to download from a USB port that wasn’t playing well, switched to another, and–surprise–instant success. Are there any Android Lollipop versions that work well on the 2012 Nexus 7, that don’t bog it down? Anyone? 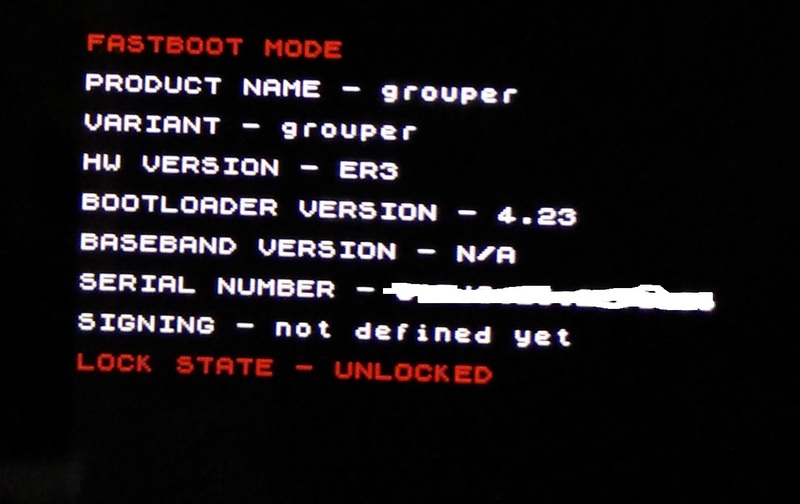 – But after another reboot I tried first only “fastboot oem unlock” to check, and it was OK – returned that my device is already unlocked. Remarquable Tutorial. Works like a charm and you saved my Nexus 7 2012. Thank you for the effort you put in writing this. Thank you so much. It was very easy to follow the steps you described. Thanks !! My Nexus has been unusable and thought I would give your instructions a try. It was easy to follow and now I have a Nexus that is responsive again! An absolute life saver. Was about to bin my old 7 then thought I’d give this a try. Superb! 7 lives again. Many, many thanks – star player!